When I started graduate school, I was certain that I was going to be a qualitative researcher. I wanted to write books, tell stories, and give voice to underrepresented students. As my studies progressed, it seemed to me that, quantitative methods was often privileged in the field of education; particularly, in the policy world. In my view, policymakers favored quick statistics that allude to probability of success, effect size of treatment, and evidence based interventions that work. Whereas quantitative researchers offered numbers, percentages, and predictions to explain educational disparities; qualitative researchers offered quotes, portraitures, and narratives that serve as windows into the day to day lives of participants. While both quantitative and qualitative research contribute greatly to the field of higher education, I often felt that the general consensus was that quantitative methods (e.g. experimental design) carried with it a ‘gold standard’ of education research, while qualitative methods were somehow viewed as less rigorous. This was unsettling for me, to say the least. While statistical analysis holds merit, I am troubled by the idea of human subjects being turned into sheer averages: the average student, the average test score, the average classroom, and the average institution. What about individual cases that are far from ‘average’? Can we efficiently run statistical analysis on human subjects in the same way we do with objects in the material world? Furthermore, how does the absence of sociocultural context play into our mathematical models of the social world? We can measure convenience variables such as test scores, income, education level, and so on, but can we capture complex student level characteristics, such as values, beliefs, social and cultural capital? While I continue to think of myself as a qualitative researcher at heart, I am wholly pursuing quantitative methods. What leads me to do so is, in part, a desire to seek answers to these questions. Moreover, I want better knowledge of statistical methods to be able to understand and interrogate quantitative findings and interpretations. Lastly, I want to expand my methodological toolkit while applying critical epistemologies to quantitative inquiry. As I make the transition from qualitative to quantitative methods, I cannot help but feel somewhat dispirited as a minority in the field. Selfishly, I wish to see increased participation in quantitative research from minority scholars and critical scholars in higher education. While I do not, by any means, believe that quantitative research is superior to qualitative research, I do feel that there is great value in the perspectives and subtle nuances that both minoritized researchers and critical researchers bring to the field that is sorely missing in quantitative research. I often think about what a professor of mine once said in a qualitative methods course. He shared that his decision to go from quantitative to qualitative methods was in part because he wanted to be remembered as a freedom fighter and as a truth teller. He didn’t want to die with the words “Statistician” written on his tombstone. I recall listening as he spoke passionately about qualitative inquiry. Everything he said resonated with the qualitative researcher in me. Simultaneously, I cringed thinking about my future statistician funeral one day… But wait, can’t quantitative researchers also die an honorable and social justice fighting death too? Can’t there be a space in higher education research for critical quantitative research? I certainly hope so. 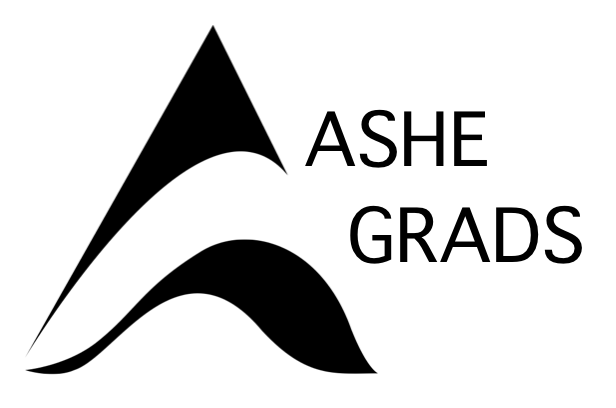 For what it’s worth, I am sharing a few things I’ve learned along my journey from qualitative to quantitative methods with ASHE graduate students who might be interested in further exploring statistics. It helps to think of learning statistics like learning a new language. In my experience, learning statistics is comparable to learning a new language. In the same way I learn Spanish: (1) reading, (2) writing, and (3) speaking according to grammar rules; I do the same with statistics: (1) interpreting Stata output, (2) denoting statistical models algebraically and coding Stata commands, and (3) following the conventions of correctly expressing statistical findings. It can feel a bit foreign at first, but like picking up a new language, statistics requires patience, practice, and repeated exposure. Statistics, like many languages, has subtle variations across disciplines. With languages, dialects and vocabulary vary by geography. Similarly, in statistics, it seems the discipline in which you receive your statistical training (e.g. Statistics, Psychology, Sociology, Economics, etc.) results in variation of terms, symbols, and concepts as well. Metaphorically speaking, statistics training in Sociology is more like Spanish in Spain, while statistical training in Economics is more similar to Spanish in Mexico. Depending on who you want to be in conversation with, consider taking statistics in a discipline that suits you as an aspiring higher education scholar. A foundational statistics courses that fits your learning style is key. A caveat, statistics courses and instructors vary immensely. While they say the best way to learn a language is to fully immerse yourself in it, starting with a statistics course that is taught in almost purely mathematical jargon may or may not match your learning style. Rather than moving too quickly, I prefer starting with a gentle introduction to regression that emphasizes core concepts with relatively light mathematics. With each advanced statistics course, the material gels a bit more. Consider taking time to shop around for statistics classes and instructors that fit your learning style to start your statistical training off right. Na Bedolla Lor is a Ph.D. student in the Department of Educational Leadership and Policy Analysis at the University of Wisconsin Madison. Her research focuses on higher education attainment among first generation college students and the role of culturally relevant pedagogy, ethnic studies, and community based learning/research in fostering academic success. Na is also a fellow with the Interdisciplinary Training Program Fellow at the Wisconsin Center for Educational Research and a Research Associate at Wisconsin’s Equity and Inclusion Laboratory.